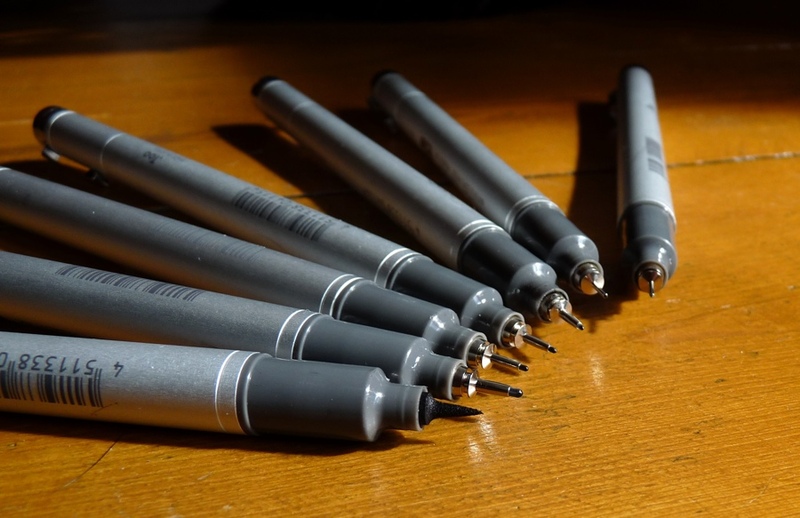 Copic Multiliner SP drawing pen review – Pens! Paper! Pencils! The Copic Multiliner SP is my favourite drawing pen. It’s also pretty good for writing with. Copic make disposable Multiliners and refillable Multiliner SPs. The SPs have aluminium barrels that are a pleasure to hold and use. 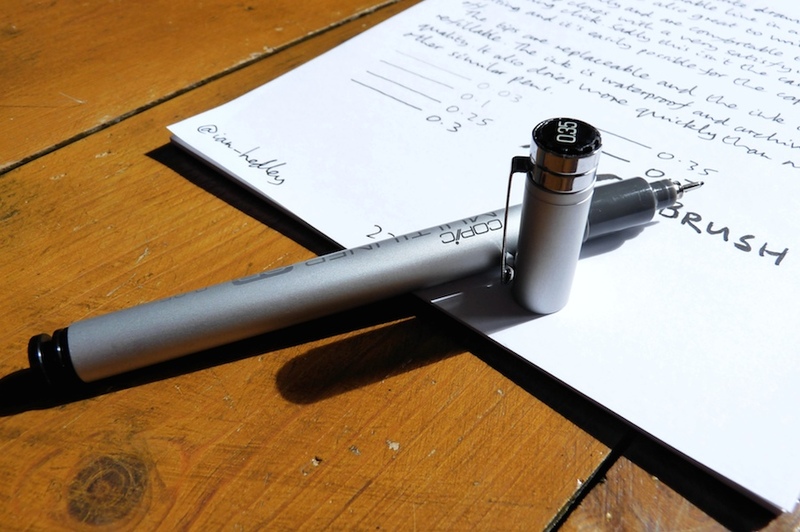 They are light but feel well constructed, making them perfect for extended periods of writing or drawing. 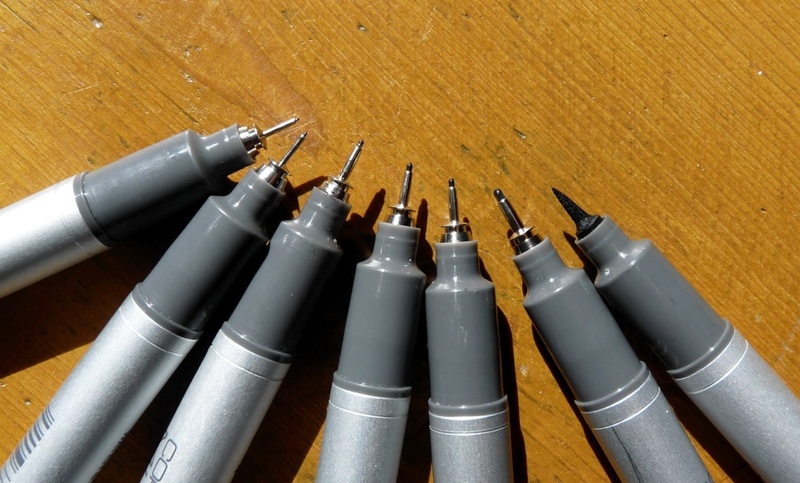 Replacement tips are available as well as replacement ink units. The ink and the fibre tip lasts a long time. 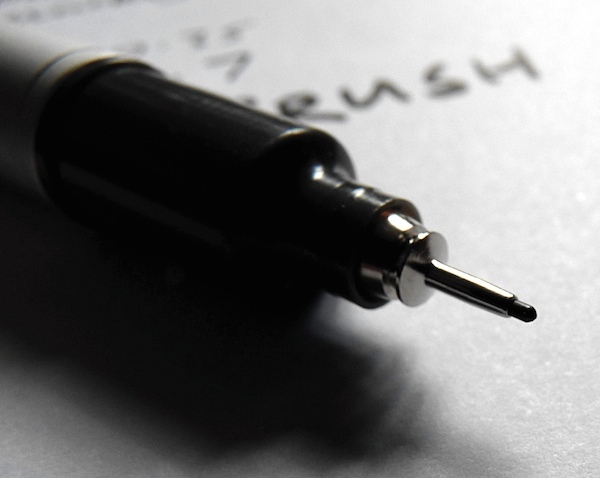 The pen lays down a good black consistent line whichever tip size you’re using. 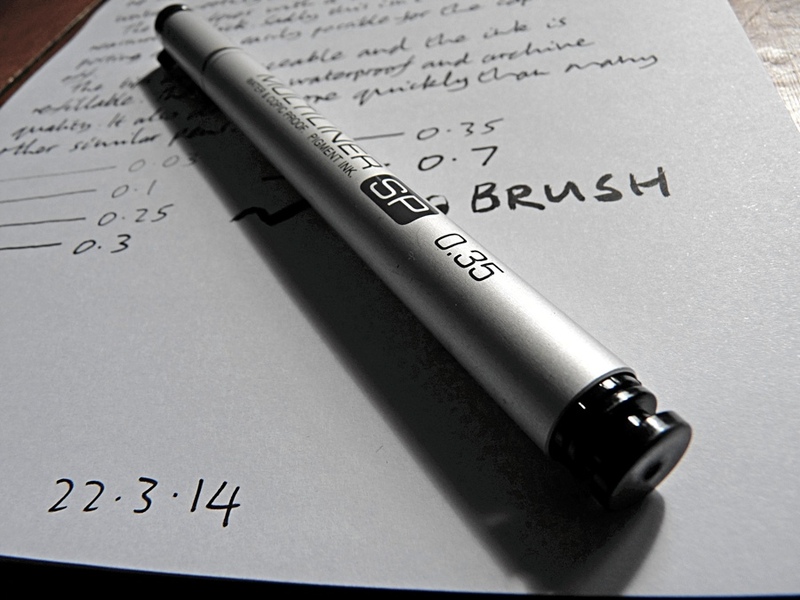 The ink is waterproof, marker-proof and lightfast. Tips are available in the following sizes: 0.03 (which is very delicate and needs extremely careful use, as would be expected at this size), 0.05, 0.1, 0.2, 0.25, 0.3, 0.35, 0.5, 0.7 and also as a brush. It’s possible to find them in colours other than black, too. The cap closes onto the pen very securely but, and this is the only fault I can find with these pens, does not post very reassuringly. I’ve not had a cap fall off when I’ve been using one of these pens but it always feels as if it might. There isn’t a lot to choose between this and a Sakura Pigma Micron. They are both fantastic pens and I use both. I prefer to use the Sakura for quick sketching and the Multiliner SP for more involved work. I suspect this is just because the metal barrel of the SP makes it feel as if it’s more worthy of something more artistic. I don’t think there’s any objective way of separating the two other than the reusable nature of the Copic Multiliner SP. 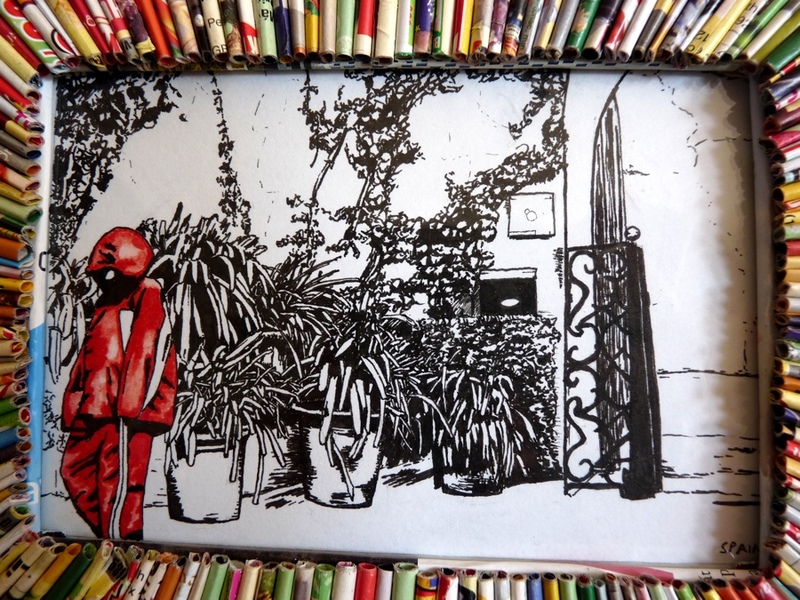 Here’s a drawing I did of my son Sam on a rainy day on holiday in Spain. The colour was added with a Tombow ABT Dual Brush Pen. Nice job on the drawing of Sam. Thanks. Sam is usually easy to draw because he never lets you see his face! 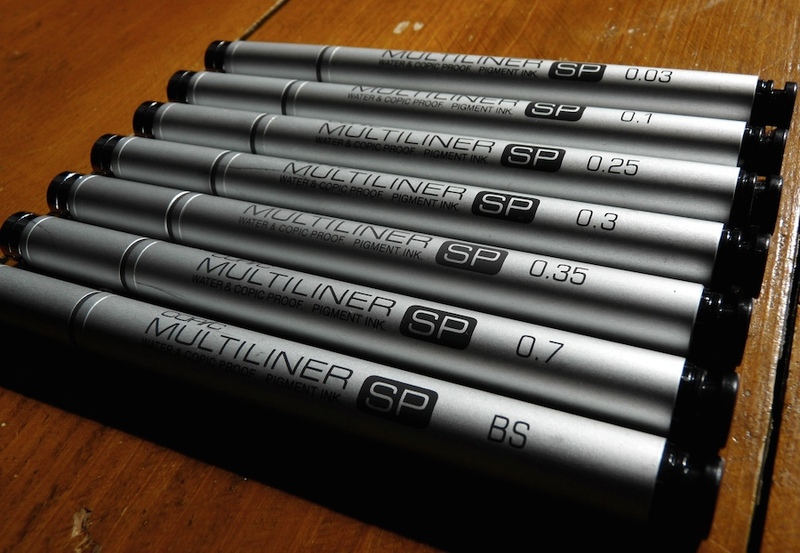 Where is the best place to start with the Copic Multiliner SP pens? Utrecht? Blicks? Jerry’s Artarama? I use Sakura Micron and would like to try them side by side to see which one I like best. Thank you. Hi Alex. If you were in or near London I could heartily recommend London Graphics Studio but alas I’m guessing you’re in the USA, which is a little too far… So I don’t know, I’m sorry. No worries. Your preferred location is a good place to start. Wish I were closer to London. Thanks. Hi sorry for my english. I have a question can i change the tip during the drawing? If the tip wears down it’s easy to swap in a new one and carry on. 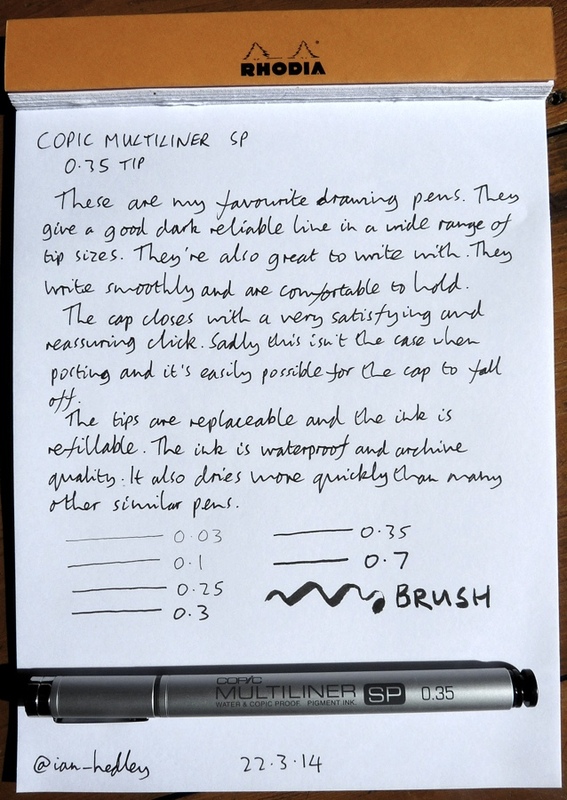 I bought a multiliner copic pen (0.05), but it won’t write! It has an ink cartridge in it (I think), so am I supposed to do something to make this pen work? I think you’ve got a dud there. It should just work. Just an fyi – the copic faq says they’re waterproof and copic proof but not lightfast if exposed to direct light.